The Severn Run Women’s Ministry has a variety of groups and activities for inter-generational women to support and encourage one another as sisters in faith as we journey to becoming the women God calls us to be. The ministry also focuses on including serving in their gatherings and events. Quarterly events include Secret Sister Projects, Clothing Swap, Retreats, Teas, and more! This weekend event is designed for women who are looking to dig deeper into their God story so they can experience the Freedom, Redemption, Grace and Victory that God has planned for them. Register at TheRestorationExperience.org. One of our favorite activities is the Secret Sister Project. Each semester you can sign up to be a Secret Sister and then we encourage one another anonymously through gifts, notes, and prayer. At this year's women's retreat we talked about finding Jesus in your storm, trusting that he will be there with you, and then learning how to be a lighthouse for others in the storm. 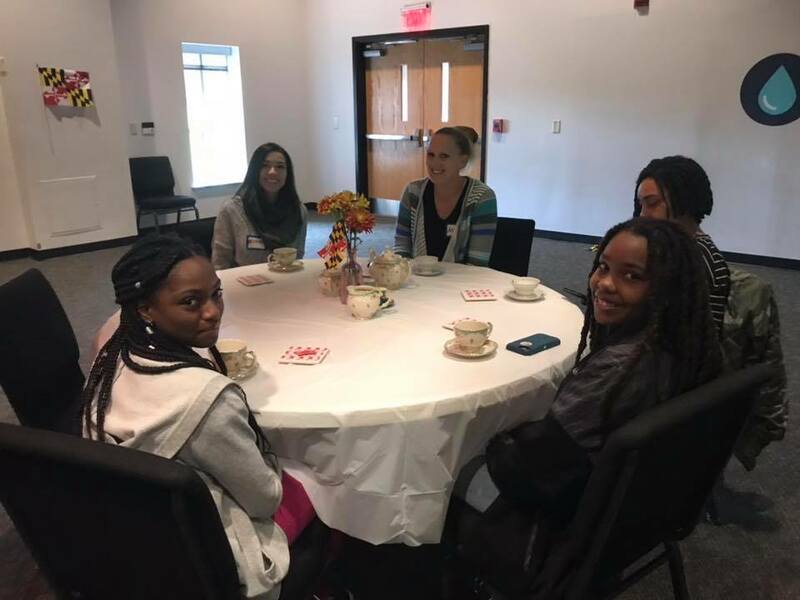 We had a wonderful gathering and time of fellowship at our "Baltimore Tea"! Beyond Belief is a 10-week journey where women complete weekly challenges within the context of community and accountability These spiritual, relational, and physical challenges change weekly and are aimed to encourage and equip women to faithfully and fully use their God-given gifts to glorify God. Women's Monday Night Bible Study, 7pm, Room 219 - The Spring study is "No Other Gods" by Kelly Minter. Contact for more information. Women's Tuesday Morning Bible Study, 9:30am, Room 219 - The Winter/Spring study is "A Woman's Heart: God's Dwelling Place" by Beth Moore. Erin Allison: Erin is a military spouse with 3 young children, and has been attending Severn Run since March of 2014. Her passion is bringing women of all ages, ethnicities, and cultural backgrounds together to grow in relationship with Jesus. Erin enjoys travel with her family, reading, and having coffee with friends. Contact Erin for more information about the Church at Severn Run Women's Ministry. Susan Carter: Susan is married with children (a pre-teen, a teenager, and an adult). She has a heart for women and desires for them to have a relationship with God and with one another. 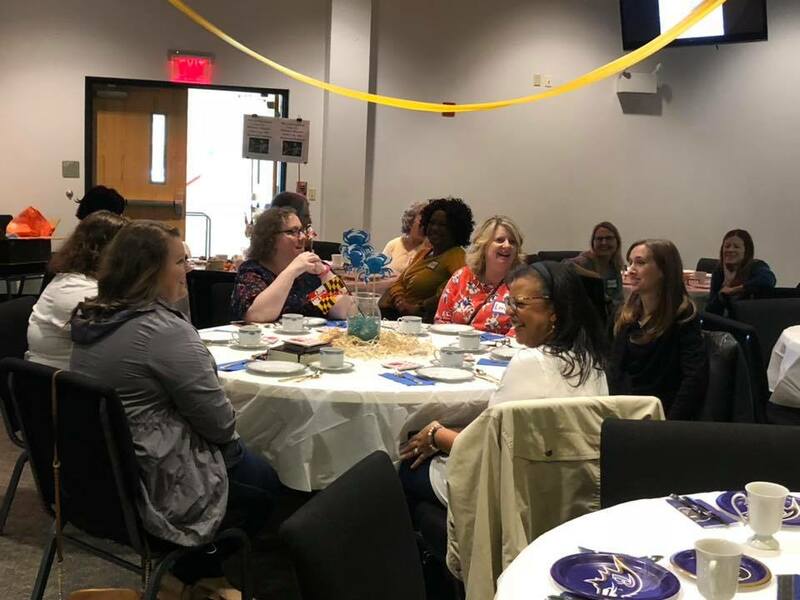 She enjoys corporate worship, discipleship, and fellowship with other women as experienced through women’s conferences. Susan finds joy in time spent with her family and treasures her friendships with her sisters in Christ.